We’ve teamed up with YouTube superstar Mumbo Jumbo to offer a range of three outstanding PCs that are just perfect for enjoying the latest PC games as well as enabling all of the other great things only the PC platform can deliver. From the perfect starter PC that enables lag-free gaming and study to the ultimate First-Person-Shooter devouring behemoth, we’ve got something for everyone. 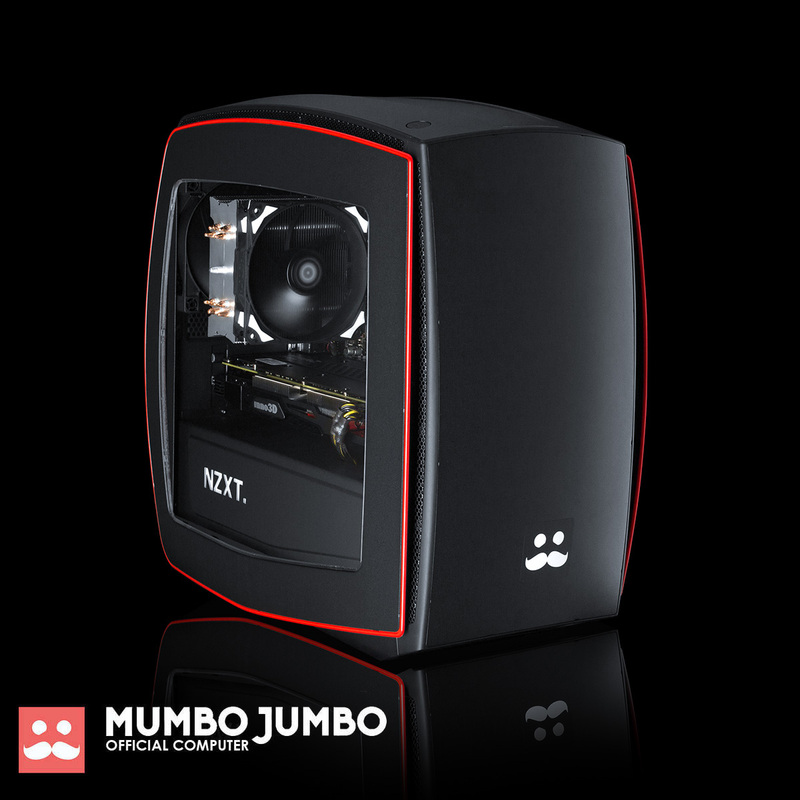 Each PC has been carefully co-designed with Mumbo Jumbo himself to ensure the sort of experience you get is every bit as smooth as his videos, and you have Chillblast’s legendary and multi-award winning customer service on tap should you ever need any help with your purchase. 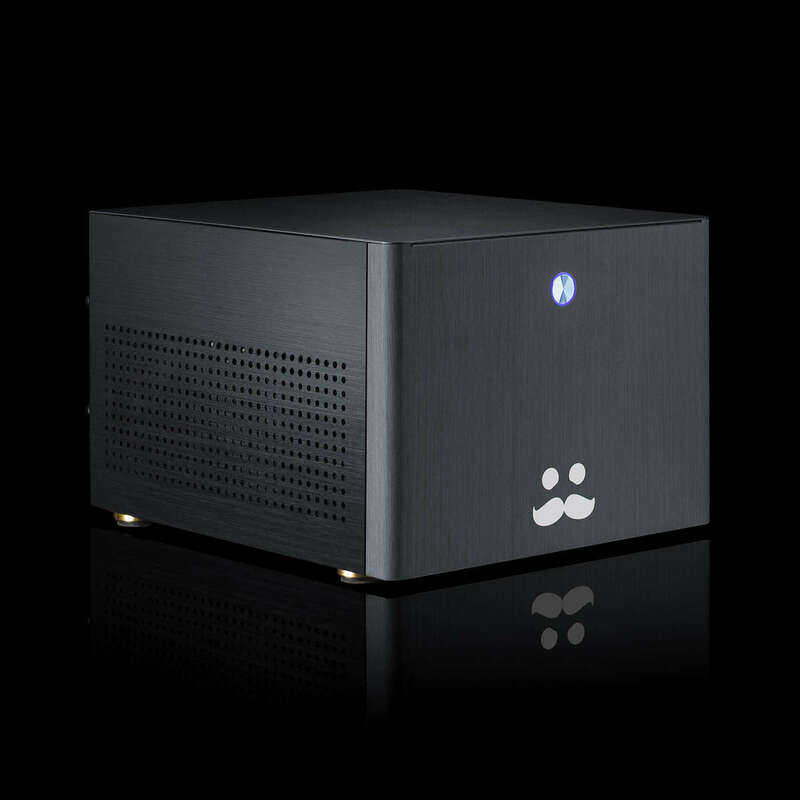 The Mini Mumbo boasts a unique small-form-factor aluminium case that can be squeezed into the smallest of spaces, all the while delivering fantastic cooling and great frame rates. It’s ideal as a “games console” that can plug into an existing TV like a set top box, or can sit underneath a monitor on desks where space is tight. The Mini Mumbo is also comfortably light and rucksackable, making it ideal for taking to LAN Parties or your friend’s house for those all-night gaming sessions!  The extremely nippy NVIDIA GeForce GTX 1050 graphics card excels in popular games like Minecraft and other similar educational games, but also has sufficient clout to deal with “Triple-A” PC games so it grows with your needs. The fast Intel Pentium processor uses the same class-leading "Coffee Lake" cores as the Core i5 and Core i7, so it is brilliant for multimedia, video and homework, handling everything from spreadsheets and word documents to photo and video editing with effortless ability. There’s also lots of storage for all of your photos and games thanks to the 1TB Seagate HDD. 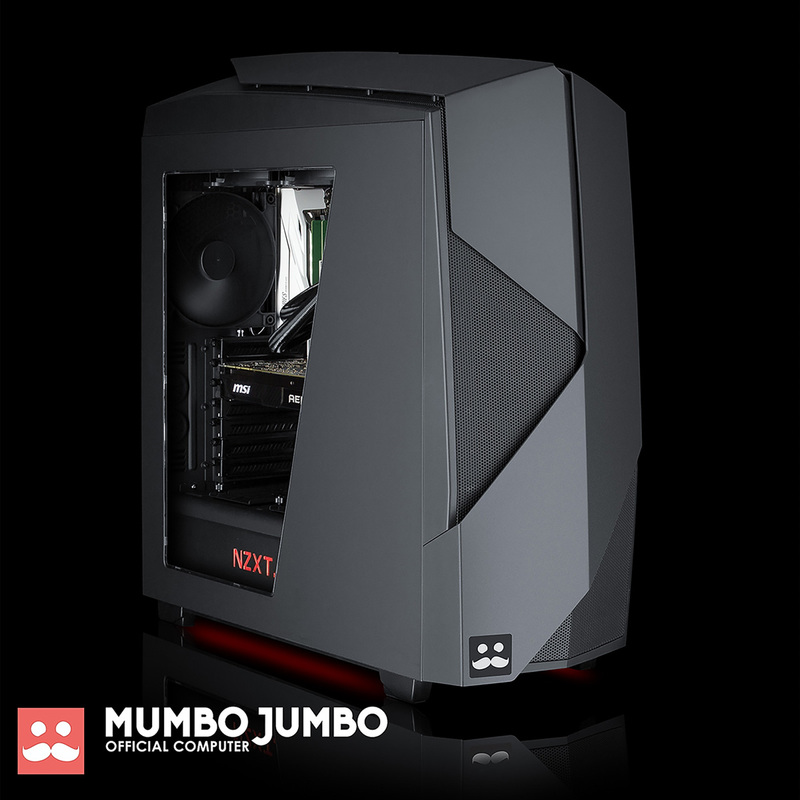 The Fusion Mumbo was designed in conjunction with YouTube superstar Mumbo Jumbo and delivers everything you need for the ideal first gaming PC. The extremely nippy NVIDIA GeForce GTX 1050 Ti graphics card excels in popular games like Minecraft and other similar educational games, but also has sufficient clout to deal with “Triple-A” PC games so it grows with your needs. The fast Athlonn 200GE Zen processor is brilliant for homework, handling everything from spreadsheets and word documents to photo and video editing with effortless ability. There’s also lots of fast storage for all of your photos and games thanks to the 1TB Seagate SSHD. An SSHD combines the space of a normal hard disk with the speed of a solid state drive to give you a hassle-free and extremely speedy single drive solution. Best of all the Mumbo is a highly upgradable PC, so when you need more power it’s extremely simple to upgrade the video card, CPU or memory for a truly future proof solution! The Chillblast Fusion Jumbo is a big step up in performance from its smaller cousin. With the power of NVIDIA’s mighty GeForce GTX 1060 6GB video card pulsating within, the Jumbo is ready to tear through even the most demanding of PC games with the settings cranked way up. Even ultra-tough games like Grand Theft Auto V, Battlefield, COD and The Witcher series are no match for the Jumbo. The PC also has an extremely powerful quad-core Intel Core i5 processor and 16GB of memory, which give this system the performance to record and upload videos whilst you play. If you are interested in exploring the wonderful world of VR, the Jumbo is ready to deliver a fully-fledged VR-Ready experience. The Fusion Jumbo has a spacious 250GB solid state drive for Windows and your favourite games, whilst a 1TB secondary drive is big enough to store hundreds of videos, thousands of photos and dozens of games. All of this is delivered in a very compact case that won’t take up too much space in a smaller room, yet has the visual impact to blow all of your friend’s minds. • 250GB SSD for ultra-fast Windows and game-loading speed. 1TB of storage and 16GB of memory for storing thousands of photos and dozens of games. 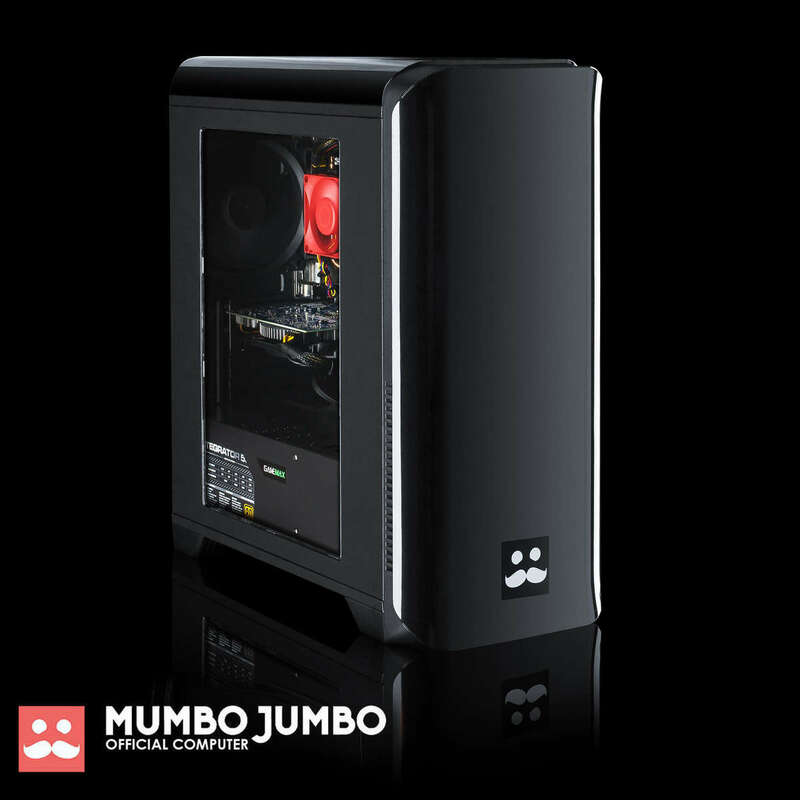 The Fusion Jumbo Signature Edition is the ultimate Mumbo Jumbo gaming PC and is the exact same spec Oli himself chose when specifying his new PC. Suffice to say it’ll race through any current PC game at maximum settings, even when combined with QHD screen resolutions or VR headsets. The Jumbo Signature Edition is designed for gamers who will accept no compromise to visual quality and frame rate and want to enjoy their games at the absolute highest possible quality available today. As well as featuring NVIDIA’s fastest gaming GPU, this PC also features the amazing Intel Core i7-7900K, a ten-cored Extreme Edition CPU that delivers up to 50% more performance than even the fastest “regular” Core i7 processor. This means it’s just the ticket for those wanting to stream or capture high resolution video whilst they play, or render videos in the background seamlessly while you get on with other tasks. A super-fast PCIe SSD holds Windows and your favourite games whilst a huge 3TB secondary drive is spacious enough to hold hundreds of games in the ultimate Steam collection or archive thousands of hours of video. • 500GB PCIe SSD for ultra-fast Windows and game-loading speed. 3TB of storage and 16GB of memory for storing thousands of photos and hundreds of games.